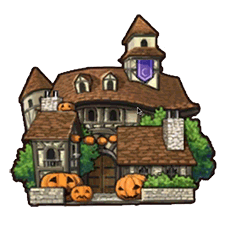 Halloween 2018 is an exciting story event, with many memorable scenes and interactions. It even includes one of the most popular Craft Essences in the entire game, Dangerous Beast. On the farming side, it can get a bit hectic with all the different mechanics in place that Masters have to keep track of for maximum efficiency. Once Masters get used to it, however, things become just as straightforward as most previous events. For most Masters, this event offers a great opportunity to obtain some more commonly required Ascension Materials, such as Hearts of the Foreign God or Phoenix Feathers. 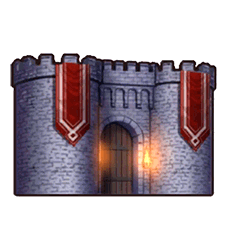 Furthermore,the buffing items can either make the farming process less tedious or be exchanged for a small amount of extra QP after the event ends. For Masters with apples to burn, the QP exchange isn’t that great for the gold currency even with a lot of drop bonus, but combined with the monster drop rates it’s not too terrible. 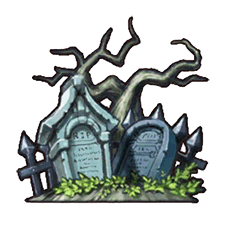 In terms of monster drops, the feather drop rate from the final Graveyard Free Quest is actually pretty good considering how difficult they are to get outside of events. In general the silver material drop rates in this event aren’t half bad and close to their Free Quest equivalent. That said, make sure to keep a healthy stock of apples for the upcoming, extremely lucrative, Christmas period! As stated above, preparation is very important in maximizing the efficiency for this event, as the sheer amount of nodes that can be farmed is astounding. Where to farm will heavily depend on the team compositions available, luck with Craft Essence drops or pulls, and specific needs in terms of Ascension Materials. Since the majority of farming will be done on Expert nodes and above, this guide will solely focus on those nodes. 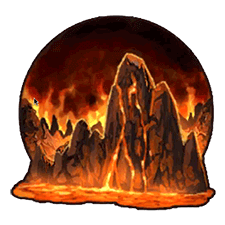 Masters can only unlock the Demonic and Demon Lord difficulties later on into the event by progressing through the Main Quest, so for the short first part of the event, farming Expert is an (unoptimal) option. It is best to wait for at least the Demonic difficulty options to be available before going all out on farming. During the event, there are five different buff items that can be spent, once at the start of a battle, to buff the party. Not only do they drop frequently, but their buffs are also extremely nice for speeding up the farming process. 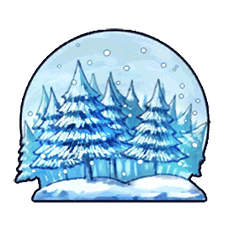 It is highly advisable to spend them on the higher difficulties as they drop, but to avoid spending any event currency to buy them from the shop as it is generally a waste of resources. 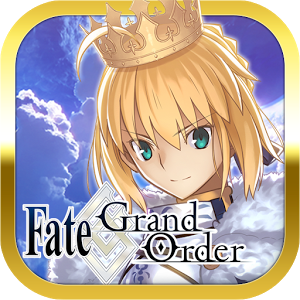 After the event ends, any leftover buffing items can be exchanged for a moderately small amount of QP. Stronger Masters with Servant that can tackle the event without that extra boost, can save them for some extra QP. The extra buffs may save some time spent farming however. The appearance rate bonus for specific enemies is capped at 100%. Therefore, one MLB CE, or 4 separate CEs of the same kind, is sufficient to maximize the number of enemies. Additional enemies naturally result in more currency drops but also more monster material drops. Be sure to check out which node requires which Craft Essence before entering, or simply consult one of the tables in the quick-farming Guide. Of course, facing more enemies means that the node is more difficult though! Furthermore, highly prioritize getting these Craft Essences before anything else in the shop to improve farming efficiency. Getting maxed Appearance Rate Craft Essences will allow for more flexibility when choosing Support Servants. As a rule of thumb, a 25% appearance rate bonus is more important than a single drop bonus CE from the gacha. In some specialized cases, for single drop nodes and at 50-75% appearance rate up, this may vary slightly. Raise Elisabeth (Brave) as soon as possible. Lizzie has a humongous damage bonus of 100% during the event and can get NP level 5 fairly easily. Consider maxing her out as soon as possible, and she will be a valuable damage dealer for the entirety of this event and in future (Halloween) events.. Most Masters who played the Summer Event would have Scathach already, but for Masters who do not have a solid AoE Assassin, Cleopatra is a lifesaver. Amongst all AoE Assassins in the game, even on the Japanese server, Cleopatra is highly valued for her consistent damage, self-sufficient skill set and amazing Star generation. For Masters looking for a solid AoE farmer against pesky Rider nodes, she is an amazing investment, especially considering she is a limited Servant and only comes back next year. However, as all wise men say, roll or save for your favorite characters first and foremost. Some Servants are particularly effective throughout the event for various reasons. These Servants often work well in most farming setups, cost very little for the value they bring, or can be an effective filler for Masters without a wide array of Servants for specific purposes. Keep in mind that at higher appearance rates, Quests do take longer and that Servant who excel at farming quickly with one powerful NP are a bit weakened as a result. Zhuge Liang (El Melloi II) Veterans do not need much introduction to Zhuge, as he is almost always the MVP of every event. His merits far outweigh his mediocre damage output as he can trivialize most content in the game thanks to a broken supportive skill set. For newer Masters, getting Zhuge Liang into their team not only improves the team’s damage output for faster clearing time, but he can also help protect team members from hard-hitting bosses. Mash Kyrielight Even if she does not bring any damage to the table, her 0 Party Cost is extremely valuable for some farming setups as she enables Masters to potentially include more event Craft Essences - Craft Essences that in turn boost the number of drops, the team’s performance or the appearance rate of enemies. Elisabeth Bathory (Brave) +100% As mentioned above, Lizzie has a whopping 100% bonus damage during the event. 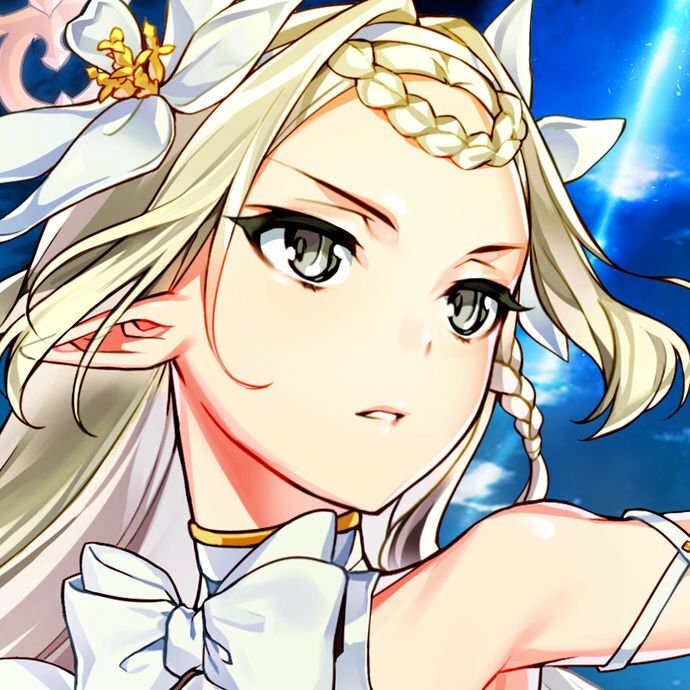 As a welfare Servant, she also gains access to a higher NP level during the final stretch of the event and can hit quite hard even without class advantages. Barring any nodes that heavily feature Archer enemies, Elisabeth can find a spot in almost any team for most Masters. AoE Berserkers AoE Berserkers are some of the best fillers for any farming setup due to their high damage output against pretty much anyone. Of the higher rarity Servants, Minamoto no Raikou is the best possible choice thanks to her amazing bonus damage against a wide array of enemies. 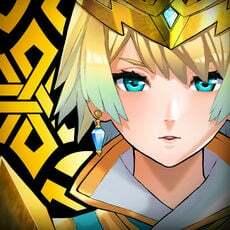 Do note that most AoE Berserkers struggle with generating NP, so having an NP charging ally like Zhuge Liang, Helena Blavatsky or Ozymandias is greatly helpful if not mandatory. The lower rarity options are still generally useful, but at high appearance rates their single powerful shot is much less useful than during other events. Some nodes require at least 5-6 turns to clear at minimum due to reinforcements. Arash Arash can only function with Craft Essences that provide starting NP gauge or teammates who can raise his NP bar immediately, but he is a very effective Servant for farming. With extremely low investment and party cost, high NP damage and the added bonus of switching in your next servant after using Stella, Arash can enable many fast farming setup. Ibaraki-Douji +50% A strong Berserker and one of the Servants who receives a damage buff during the Event, there is little reason not to use this cute Banana Oni. Nitocris +50% Between her damage bonus and NP interlude, her on-demand NP and the low instant death resistance of undead opponents, Nitocris shines in most of the Free Quests. The guide will also mention when she performs exceptionally well in a specific node. 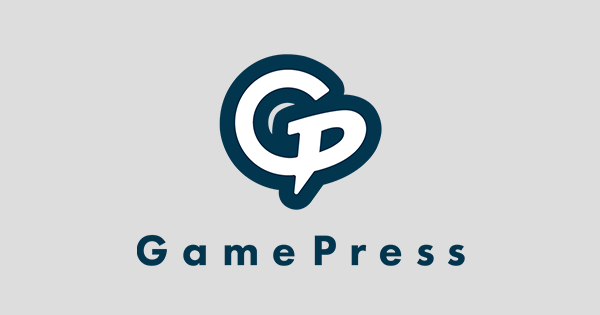 The Graveyard node primarily features Lancer and Rider enemies. This is a very good node to farm Phoenix Feathers at the same time, but the split currency drops are not ideal. For Expert Difficulty, the final boss is Queen Medb, a Rider. However, the two higher Difficulties (Demonic and Demon Lord) feature Lancer bosses instead. They all feature a Bicorn in the second node that can hit surprisingly hard if not taken out fast, and the Rider Bugs all deal Critical Hits quite often. Lancelot (Saber) These Servants have fantastic single target damage output and fast NP generation rate. While they most likely are not as effective against Queen Medb for Expert difficulty, they can still deal heavy damage to her. Lancelot in particular can provide damage on demand for multiple turns by either unleashing a barrage of criticals or using his NP in consecutive turns. Jack the Ripper Jack has class advantage against the Rider mobs and Queen Medb, making her an excellent choice for Expert difficulty. Even in Demon Lord difficulty, she can contribute greatly thanks to her bonus damage against females. Cleopatra +50% Cleopatra makes up for her lack of an Interlude with a hefty 50% bonus damage during the Event. Strong AoE damage, very fast NP generation rate, great Star Generation and the potential for a powerful NP Buster Brave Chain make her an amazing choice for this node. Siegfried While these Servants can do decently in Demonic, they are much more potent compared to their AoE Saber competition in Demon Lord thanks to their strong bonus damage and class advantage against Altria. Given that Demon Lord is the best difficulty to farm in term of drop rate, this warrants them a higher recommendation. Rama Rama is effective for all three nodes thanks to his class and high damage. He is extremely efficient in dealing with the Bicorn as long as he has his NP available. For Demonic and Demon Lord difficulty, he is a great answer to Diarmuid and Altria respectively as well. The only problem is charging his NP in time or supplying him with some critical stars. Gawain Since the last waves of Demonic / Demon Lord difficulty consist of two Rider mobs and a high HP Lancer, using an AoE Saber to deal heavy damage to all of them at once is a good idea. Class advantage against the Bicorn is another good reason to bring said Sabers as well. Fuuma Kotarou Since the majority of mobs in all three difficulties are Riders, they can be a decent choice to soften up the enemies, especially for the last wave. For Masters who only farm Expert difficulty, they are fantastic choices due to their advantage against Medb. They all have some useful support in their kits as well. These Servants are great answers at pretty much all difficulties thanks to their consistently high damage. While Heracles, Vlad III, and Cu Alter have superior survivability, Kintoki makes up for it with amazing frontal burst and can deal with the Bicorn immediately thanks to Animal Dialogue. However, at the end of the day, they are still Berserkers and will fall extremely fast against the Rider mobs and Bicorn, who love to unleash Critical Damage. Carmilla Carmilla is a budget Jack the Ripper that is decent for Expert and Demon Lord, but falls off in Demonic due to her lack of advantage against Diarmuid. Her damage is inferior to Jack, but her NP generation rate is still quite amazing and she can be a decent filler for many Masters. Mysterious Heroine X MHX is a very feast or famine Servant in most circumstances. For this instance alone, she is good for Expert and Demon Lord, but falls off extremely hard in Demonic. Aside from just her good raw damage against Rider and Saberface enemies, MHX has consistently high NP Generation and Star Generation as well. Decent alternatives for Masters lacking strong Sabers. A very straightforward node, as all enemies are Archers. The bosses of the three hardest difficulties are David, Tesla, and Arjuna respectively. While David is not particularly threatening, Tesla and Arjuna can be quite dangerous due to their low NP bar, skills that can charge their NP bar and AoE Noble Phantasms. Sadly, the AP efficiency is awful for Evil Bone farming. Karna Karna is great in both Expert and Demonic, but Demon Lord is where he shines the most as he can potentially one shot the last wave with his Noble Phantasm due to his advantage against his brother. Altria Pendragon (Lancer Alter) Easily one of the best AoE Lancers in the game, and possesses absurdly powerful single target damage to boost, making her extremely well-suited for nodes that feature both high HP Archer bosses and low HP mobs. Tamamo-no-Mae (Lancer) As the bosses of all three hardest difficulties are male Archers, there is no reason not to use this foxy lady and her anti-Male bonus to obliterate them. As a bonus, her generation stats are very impressive. Vlad III (EXTRA) +50% 50% bonus damage during the event, a very solid kit and strong single target damage output make Vlad III a stellar pick for anyone that has him. Altria Pendragon (Lancer) While she does not have strong single target damage output, unlike her Alter counterpart, the Lion King has a much easier time getting Rhongomyniad ready in time for the final wave even without team support. In fact, in the right team it’s quite possible to unleash her NP both in the first and final wave. An excellent high speed pick. Scathach Both are very high damage single target Lancers. While Brynhildr can deal with Tesla effortlessly, Scathach kills demigods like Arjuna for a living. Li Shuwen Both of them are good single target Lancer alternatives for Masters without a 5 Star Lancer. Elisabeth Bathory With her recent strengthening Liz can be a good supportive servants for a female team while also providing some decent AoE damage against the Skeletons if her NP gets charged. Cu Chulainn The Reliable Cu Chulainn, no matter the version, will get the job done just fine. Mind the Sure Hit of both the Gazer enemy and David’s NP, but that should not be an issue either. They’re simply not that fast at clearing the node compared to the aforementioned Servants. A troublesome node for anyone without strong Casters. Soul Eaters are often frustrating to fight because of their low NP bar, skill seal and dodge, while also possessing high HP. Nitocris +50% Instant NP charge and AoE Instant Death makes her one of the best farmers in the game, particularly so for this node as she also possesses a hefty 50% bonus damage during the event. Leonardo da Vinci Da Vinci-chan’s damage is not particularly high, but she makes up for it with stellar NP uptime, allowing her to use Uomo Universale more than once per battle. Xuanzang Sanzang Taunt, Instant NP Charge, high single target damage, Party Support... Sanzang has it all. Very few Casters in the game can boast the same sustained firepower that she has when dealing with Assassin enemies. Medea Medea’s damage is on the lower side, but she makes up for it with much lower Party Cost compared to gold Servants, ease of getting to NP level 5, and access to her Noble Phantasm at a moment’s notice. Illyasviel von Einzbern One of the two premium SSR single target Casters, Illya hits harder than Sanzang but also takes longer to get to 100% NP bar. Furthermore, because of the ATK demerit on her NP, it is harder for her to be the main damage dealer for a long battle against both the Soul Eater and Shuten. 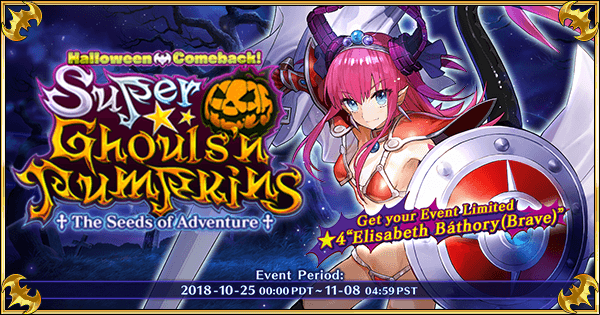 Elisabeth Bathory (Halloween) With free NP level 5, decent skill set and a rerun happening literally right before this event, Caster Liz is an excellent choice for every Master without strong 5 star Casters. Vlad III Due to the scarcity of strong offensive Casters, using Berserkers as fillers is perfectly fine. However, most of the enemies in this node can hit quite hard, so having someone who can improve their survivability is recommended. Helena Blavatsky With additional NP-charging capability, for strong and fast-paced teams, Helena can greatly aid in speeding up this node. Her own NP is also quite powerful, but her long cooldowns make her somewhat less optimal if the Quest drags on. Nursery Rhyme Decent AoE Caster options with some support or better damage respectively. For this event, their competition is simply more fierce than normal. Nursery Rhyme can clean up the Soul Eater fairly well if she gets some criticals stars. Tamamo-no-Mae Generally she fits in any Arts teams that thrive over the long run. Therefore, as most of the useful Servants for this quest are Casters, she can bolster their offensive power and NP generation rate immensely. Consider fielding her if the main DPS is entirely Arts-Based. Jack the Ripper As the bosses of Demonic and Demon Lord are females, Jack is a naturally good choice for those difficulties. Her buff removal is also quite useful against herself or the Soul Eater, which gains a Dodge after using its Noble Phantasm. William Shakespeare While his AoE damage is not particularly strong, his support for his low cost and class advantage makes him worthy of a mention. Combine mainly with Buster Servants. Compared to earlier nodes, this one is odd in that the enemy compositions for Demonic and Demon Lord are quite different compared to Expert. While Expert features Assassin bosses and many Assassin mobs, Demonic and Demon Lord have Caster mobs and Saber bosses. The constant between all three difficulties is the Spriggan in the second node, and nobody likes a Spriggan. Robin Hood +50% Easily the king of this battle. A 50% bonus damage during the event vastly improves Robin’s already astounding nuking capacity. With proper team support it’s quite easy for him to completely obliterate both the Spriggan and the Saber bosses in the last wave. The big decision is whether to use his Sabotage for the Spriggan or the Saber Servant. 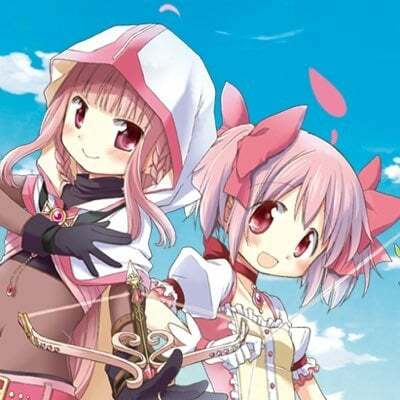 Chloe von Einzbern Arts Archers are particularly well-suited for these two difficulties due to the fact that they can use their Noble Phantasm several times within a short timeframe. Nikola Tesla Both of these Archers possess immensely powerful AoE Noble Phantasm that hit both Rama and Altera for extra damage. Furthermore, it is very easy to charge their NP bar thanks to their skills. While Gilgamesh edges Tesla out in terms of normal card damage and thus can deal with the Spriggan better, Tesla has a faster NP generation rate. Arjuna Arjuna has fantastic base stats and decent skills. Unfortunately for him, his Noble Phantasm does not have a bonus modifier against Rama or Altera; nonetheless, he’s a very solid AoE Archer option for this node. Oda Nobunaga Nobu is very similar to Gilgamesh and Tesla, except that she’s a lot more F2P friendly. Her normal damage is also quite good thanks to her Star Absorption skill. However, Nobu’s NP generation rate is far weaker compared to Tesla and Gilgamesh and thus she might need additional support to prep her Noble Phantasm in time. Orion Euryale and Orion are strong in Demonic difficulty due to their Anti-Male niche. Their NP spamming capacity as well as general damage output against everything else are lower than Chloe or Artoria (Archer), but they are still fantastic Arts Archers. Emiya Emiya is at a good place these days Archer-wise thanks to his strengthening. 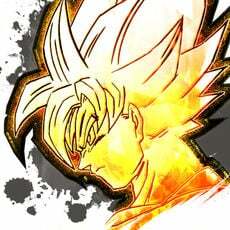 He can hit decently hard in both spectrums and so is a solid option for this node. 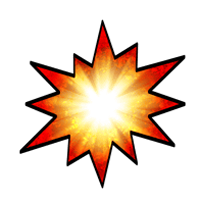 Make sure to blow up a full wave of 3 enemies to generate the stars required for the critical damage component of Hawkeye. Anne Bonny & Mary Read (Archer) Decent Single Target Archer alternatives. Tristan has somewhat weaker damage output but provides excellent team support while the Pirate Duo trades team support for a harder-hitting Noble Phantasm and more self buffs. Tawara Touta Decent AoE Archer fillers. Atalante struggles to generate NP gauge while both Kid Gil’s and Tawara Touta’s damage is quite sub-par outside of their NP. Ozymandias With his class advantage and strong damage output, Ozymandias can help clean up the Caster mobs effectively. Furthermore, he offers immense team support by bringing both an NP battery and a Charisma buff for the team. David Single Target Archer alternatives. Their damage is not particularly noteworthy but can prove to be useful enough for teams that lack options against the Spriggan. David has some nice support tools however. Nitocris +50% Nitocris is pretty much helpless against the Spriggan, but she is particularly useful against the abundance of Assassin enemies thanks to her fast NP charge, event bonus damage, and AoE Insta-kill Noble Phantasm. Elisabeth Bathory (Halloween) AoE Casters who should do particularly well against the last wave. Illyasviel von Einzbern Strong single target Casters that can deal with Heroine X in the last wave and have overall decent damage output. Helena Blavatsky Alternatives to the aforementioned AoE Casters but they each have some drawbacks. Vlad III While their damage output is great thanks to being Berserkers, their frailty can be punishing when coming up against the Spriggan. The best node to power farm Bronze Sacks alone. The enemy compositions in this node will favor a strong AoE Saber but the Berserkers are the real problem. The Chimeras can hit extremely hard due to their high crit rate and Berserker Class, so prioritize them over the Homunculi. Ideally, Burst down the Chimeras within one turn to prevent them from dealing heavy Critical Damage. Likewise, keeping the homunculus active while taking down Lancelot can similarly reduce the damage taken. Fun fact: Lancelot will focus fire Altria-faces. Defense buffs are very effective against Chimera if speedy NPs aren’t available to deal with them. Elisabeth Bathory (Brave) +100% Both NP level 5 and 100% bonus damage modifier are enough for Lizzie to decimate everything. Altria Pendragon (Alter) Of the AoE Sabers in the game, Saber Alter is easily the strongest at NP level 1 thanks to her higher NP modifier. Furthermore, she only has the Party Cost of a 4 Star with performance equivalent to a 5 Star Servant, making her a top choice to nuke down the last wave. Mordred Amongst current AoE Sabers in the game, she is the only one with a NP charge skill. Furthermore, said skill also provides her decent survivability to tank Chimera hits if needed. Mordred’s Noble Phantasm damage is not to be scoffed at either, as thanks to her NP Interlude and Mana Burst she can hit very hard even without external buffs. (Nitocris and Cleopatra) These three are ideal Non-Saber options to obliterate the Chimera within a single turn due to their good NP gauge boosts. Whereas Cleopatra and Nitocris can coast on their Event damage boost, Altria has access to a 50% NP charge. Just delete those Chimera and prevent those ridiculous crits from ever occurring. Okita Souji Having a dodge on top of an amazing NP generation rate, Okita can breeze through the node with repeated use of her Noble Phantasm and Critical Hits. Lancelot (Saber) Both of these Servants can nuke for more than one turn consecutively. Rama has both his Noble Phantasm and heavy Critical Damage, while Lancelot is more self-sufficient and can use his Noble Phantasm several times per battle. Siegfried They are all fantastic Saber options for this node. Their common main problem is not being able to reliably charge their NP bar fast, so having an NP battery in the team or equipping them with Starting NP gauge is a great boost in their consistency. Nero Claudius (Bride) Nero Bride’s numerous buffs are potent enough on their own. Her NP generation rate is also fantastic. However, her damage output compared to Rama, Okita or Saber Lancelot is slightly worse, and she can also fall quite fast without using her buffs on herself. Ozymandias Thanks to their NP charging skills, they can help the teammates prepare their Noble Phantasm faster and even enable some quick setups that can take out the Chimeras immediately. Jeanne d'Arc (Alter) Jeanne Alter is the best currently available Berserker slayer thanks to her humongous Attack stat and purely offensive skillset. As her Self-Modification skill lasts for 3 entire turns, she is capable of killing the bosses in Expert / Demon Lord difficulty extremely fast provided she gets some Critical Star support. Her normal attacks should also be enough to take out the Chimeras. Sadly, the dark Saint has no advantage against the Homunculi, and she is also quite fragile. Decent F2P options for Masters lacking strong Sabers. Arash Arash is a very good answer to the second wave of all three nodes as he can take out all the Chimera with one Noble Phantasm and bring out another teammate in his place. With his third skill, there should not be a huge problem charging his NP bar in time. Edmond Dantes Dantes’s raw Attack stat is one of the highest in the game, making him a decent Berserker slayer. With his AoE Noble Phantasm, he can deal a good amount of damage to the last wave and weaken the bosses for the team. The best node for farming Silver Sacks. The enemy composition can be troublesome if Masters do not pack a competent Assassin for the Dragon in the second wave. Furthermore, the node can be tricky due to the fact that the Berserker enemies can hit quite hard and spawn in great number with the appropriate CE. Preferably delete the Dragon quickly with an NP or similar solutions. Carmilla These Anti-Female killers are extremely well-suited for Expert and Demonic as they can rip Kiyohime and Raikou to shreds with their hard-hitting Noble Phantasms. Their fast NP generation rate also ensures they can use their Noble Phantasms in quick succession. Even in Demon Lord node, they are still very useful despite Alexander not being a female enemy. Ryougi Shiki (Assassin) The best F2P Assassin in the game and one of the best single target Assassins, Shiki is extremely useful in all three difficulties thanks to her powerful Noble Phantasm and self-sufficient skill set. Her on-demand dodge is also a lifesaver in a node full of Berserkers. Cleopatra +50% Easily the best possible AoE Servant for this node. With amazing survivability, Cleopatra can live through all three waves without breaking a sweat. Her damage and self-sufficiency are also nothing short of amazing, and her usefulness remains constantly high for all three difficulties. Shuten-Douji Other AoE Assassin options. 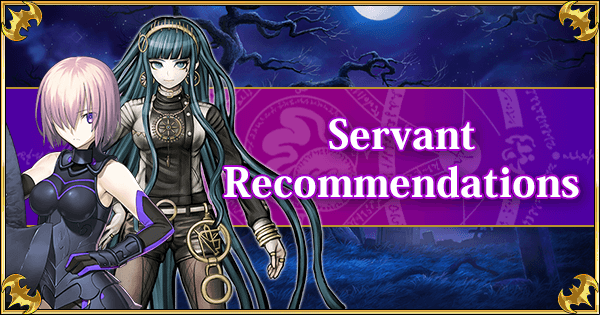 While they aren’t as good as Cleopatra due to their lack of bonus damage during the event, they are still capable Assassins and can definitely help a Master’s team tremendously for all three difficulties. Jeanne d'Arc (Alter) Our favorite corrupted maiden is particularly useful for the first two difficulties, as she can easily take out Kiyohime / Raikou with a Buster (Crit) Brave Chain. Her usefulness is somewhat diminished in Demon Lord as Alexander is not weak to her attacks, but she is still a very competent damage dealer who can take both the golems and the dragon out quickly. Mysterious Heroine X Good single target Assassin options to handle the Dragons or/and Alexander. 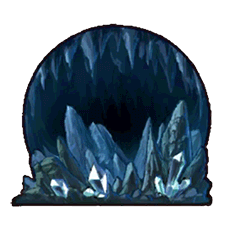 While it is likely that they won’t be able to take those out with a single Noble Phantasm, the target should be heavily weakened afterward. (Robin Hood, Vlad III Extra) With their bonus damage during the event, they can easily melt all Berserker enemies. Lu Bu Fengxian A quickly charged Berserker NP can make short work of the Dragon. Assassin NPs often don’t hit the right damage numbers, while Berserkers do. The problem is keeping them alive, so either bring some good support or keep the tempo high. Altria Pendragon (Alter) They are all very capable AoE damage dealers that can severely damage the last wave, particularly in Expert and Demonic. Gilgamesh Berserker Servants are one of the things that Gilgamesh likes to humiliate the most, only behind Sabers. He remains useful in Demon Lord too since Alexander will still take heavy damage from Enuma Elish as a Servant. 1. It drops Heart of the Foreign God - a very valuable Ascension material. 2. It drops the most amount of Gold Sacks - the most important of the three event materials. 3. The enemy composition for this node is particularly straightforward, especially for Expert and Demonic. A strong Rider is a necessity to farm this route quickly and safely. For Demon Lord, since Vlad is a Lancer boss instead of a Berserker boss like in Expert or Demonic, having a strong Saber is mandatory. Vlad III also likes to use his Defense self-buff frequently, so if not taken out quickly he can be quite tough. It is worth noting that the Beauty Lamia in the last wave has the annoying ability to heal itself and its teammates if left unchecked, and thus should be taken out as soon as possible in (preferably) one turn. The healing amount is around 30%+, and they will generally cast it once their HP falls low. Francis Drake With Pioneer of the Stars and Golden Rule, Drake has an extremely easy time using her fabled Golden Wild Hunt more than once per battle. Her generally strong damage output makes her the premier farming choice for a Caster node. Altria Pendragon (Santa Alter) While she has a hard time getting to 100% NP bar without support, her Noble Phantasm hits like a truck and can evaporate the last wave on Expert and Demonic easily. Her normal attacks are also not weak either, so she will definitely contribute during the first two waves. Ozymandias Serving as both the party’s NP Battery and main damage dealer, there is no Rider in the game with a more complete skill set and firepower than the King of Kings. Though, like all other Riders, he will struggle a bit in Demon Lord as Vlad III has no weakness to his attacks. Okita Souji Amongst the Sabers needed to farm Demon Lord, Okita is easily the best possible choice with her fantastic NP generation rate, high damage output, and Defense-Ignoring Noble Phantasm - which is extremely useful against Vlad III. Elisabeth Bathory (Brave) +100% While she has a lot more trouble filling her own NP bar unlike Okita, she makes up for it with her humongous damage buff during the event. The buff is so strong that Lizzie is also extremely useful in not just Demon Lord, but also Demonic and Expert as well. Her NP ignores defense too. Sakata Kintoki If you can keep him alive, he is the man for any job that requires a serious amount of whacking. Furthermore, his Animal Dialogue ensures he will almost always have his Noble Phantasm ready by the last wave, and its Defense-Ignoring property is quite valuable for Demon Lord. Sakata Kintoki (Rider) There is little that needs to be said about Rider Kintoki’s power. He is so strong that he can even melt Vlad III like butter with his Golden Drive Good Night. Mordred (Rider) Mordred has very high NP uptime and is, in general, a great Servant for farming. Her damage, however, can prove to be somewhat lacking against high HP bosses even with endless NP spam. Furthermore, she prefers to have a lot of team support in the form of Arts and NP gain buffs (Tamamo no Mae is the best possible teammate for her), meaning she can potentially limit team building flexibility. Lancelot (Saber) Single Target Saber alternatives who can help with taking down Vlad III in Demon Lord. Lancelot is the most on-demand, Rama is beefier while Nero Bride will support her allies while waiting for the final wave. Iskandar Iskander can be called the SSR version of Santa Alter - a cannon that most of the time can only shoot once. His burst is quite strong and if he can prep his Noble Phantasm before the last wave, he can severely weaken the boss in Expert and Demonic. Queen Medb As a Rider who can deal extra damage to Male enemies, Medb is quite good for Expert and Demonic. She can do some decent damage to Vlad III as well, but most likely won’t be enough to carry Demon Lord by herself. Make sure to team her with Male allies! Vlad III Single target Berserkers are a good answer to Vlad III if Masters lack a strong Saber. They have the added benefit of being able to deal with the Demon and Naga effectively as well but have much poorer durability. Alexander AoE Rider filler options. While their damage is not particularly high, they should still contribute plenty thanks to their class. Anne Bonny & Mary Read Single Target Rider options. They can hit quite hard if their NPs are prepared beforehand. Good for Expert and Demonic, and decent for Demon Lord. Pyramid is among the harder nodes of this event. The enemy compositions of Expert, Demonic, and Demon Lord are completely different and will require different teams to farm. Furthermore, the enemies all hit very hard. 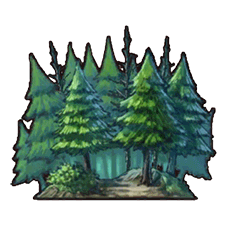 The caveat is that this node gives all three event materials at once, so while it is not particularly worthwhile for Masters with a lot of Craft Essences from the Gacha, it can be efficient for Masters without a lot of drop boosters. 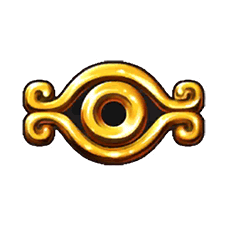 Furthermore, this node drop two of the recently introduced materials in Great Knight Medals and Scarabs of Wisdom, for masters on the lookout to ascend recent Servants. Robin Hood +50% As most enemies are Sabers, Robin is the natural choice to nuke them down. As he has an absurd amount of bonus damage during the event, he can also deal with the Sphinx effectively. Chloe von Einzbern Arts Archers are particularly efficient at killing high HP Saber bosses like Lancelot. Euryale and Orion even have the added benefit of an Anti-Male bonus for the job. Oda Nobunaga AoE Archers with bonus damage against Lancelot. They can easily nuke down the last wave with a single Noble Phantasm. Emiya Good AoE Archer alternatives. Both have a relatively easy time charging their NP bar thanks to their triple Arts decks and strong AoE Noble Phantasms. Anne Bonny & Mary Read (Archer) Single Target Archer fillers who can help with taking out Lancelot. Vlad III Berserkers are well-suited for a mixed class node like this one, particularly so as they can deal more damage to the Sphinx than Archers. Sakata Kintoki (Rider) They provide Masters with the means to take out the Sphinx fast. Ozymandias also acts as a fantastic support for the team while Kintoki Rider has great damage output even against non-Rider enemies and comes with his own massive NP gauge boost. Tawara Touta Weaker AoE Archer fillers. They can definitely help weaken the last wave provided they use their Noble Phantasm. David Single Target Archer fillers. Karna The Hero of the Sun is the perfect candidate for this node. Not only does he handle the Archer well, but his Anti-Divine Noble Phantasm can also take a huge chunk out of Cleopatra in the last wave. Vlad III (EXTRA) +50% While Cleopatra is not an Evil-alignment Servant for Vlad III to take advantage of, he should still do quite well in an Archer-infested node. Furthermore, Vlad III has bonus damage during the event as well, ensuring he stays strong against the Sphinx and Cleopatra without class advantage. Vlad III Putting these heroes in will vastly improve clear speed as not many can take out the Assassin Sphinx easily while still doing high damage against everything else. Nitocris +50% With high Instant Kill rate on an AoE Noble Phantasm, bonus damage during the event and extremely fast NP generation, Nito is the perfect AoE Caster to bring for the last wave. Illyasviel von Einzbern These Casters will help tremendously against both the Sphinx and Cleopatra. Sanzang and Medea can use their Noble Phantasms more liberally, but Illyasviel has more burst on her Quintett Feuer. Scathach Scathach is similar to Karna in that she is effective against Cleopatra and the Archers. However, her NP generation rate is inconsistent and her Noble Phantasm being single target means she might not be able to clear out the last wave in one go like Karna. Nonetheless, she’s still a great choice for this difficulty. Elisabeth Bathory (Halloween) Good substitutes for Nitocris as the designated AoE Casters for the team. Da Vinci has higher NP uptime but poorer burst damage compared to Lizzie. Helena Blavatsky Weaker AoE Caster options compared to the aforementioned Servants. Nonetheless, they should provide good damage to the last wave and bring team support on top. Ryougi Shiki (Assassin) The two best Single Target Assassins in the game are the natural choice against Ozymandias and the high HP Sphinx. Thanks to their fantastic NP generation rate, they should have no problem using their Noble Phantasms against both. Cleopatra +50% With the bonus damage mod during the event and class advantage against the two main enemies of the node, Cleopatra easily earns a spot in any team farming this difficulty. Vlad III As with any mixed class nodes, single target Berserkers can help out tremendously provided they are well-protected. Shuten-Douji With a high damage AoE Noble Phantasm and Assassin class, Scathach can handle the last wave quite well. Furthermore, with her taunt, she is a good teammate alongside a squishier damage dealer like Kintoki as she can protect him from the Sphinx / Ozymandias. Shuten is a more offensive option instead. Mysterious Heroine X Good Assassin alternatives to Jack or Shiki. They all have decent to good NP generation rates and will deal significant damage to both the Sphinx and Ozymandias. Elisabeth Bathory (Brave) +100% Lizzie should be able to take care of all those pesky Lancer Knights. Furthermore, thanks to her event bonus damage and easy NP level 5, she can deal great damage to both the Sphinx and Ozymandias even without class advantage. Gaius Julius Caesar Alternative Saber options that can take care of the Lancer enemies while providing team support on the side. Jing Ke F2P Assassin options. They most likely won’t outperform the aforementioned Servants, but can still be a good substitutes for Masters that lack better alternatives. AoE Sabers As the final waves consist of two Lancer Knights and Ozymandias, their Noble Phantasm can quickly dispatch the Knights and deal heavy damage to Ozymandias.